Fly & Stay. Free & Easy. Value Package. Stay & Snorkel. 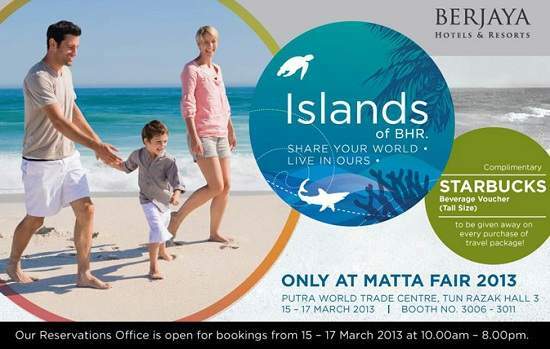 Promotion valid only at MATTA Fair 2013. Do you like Berjaya Hotels & Resorts promotion?